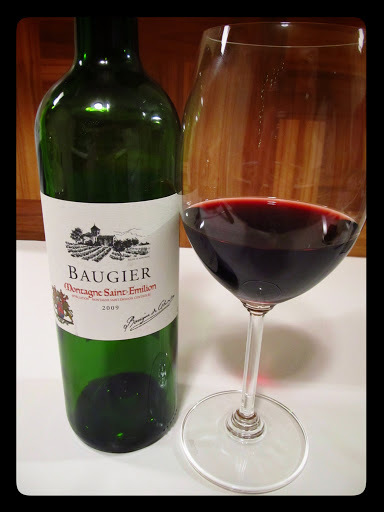 Baugier Montagne Saint-Emilion Bordeaux was produced under the négociant [wine merchant/trader] label Metrowine. It was made from grapes and wine sourced from prime vineyard sites in the appellation of Montagne Saint-Emilion and then blended and sold under the Metrowine label.Patrick Baugier founded Metrowine in 1988, building upon his father’s status as vineyard owner and négociant and the head of the largest winegrower association in St. Emilion. Today the company is rising to a market leading role in the Metro New York area as one of the top purveyors of Bordeaux wines. Dark ruby in colour, after decanting for about 30 minutes aromas of caramel and soft baking spices swirled about. Refined flavours of cherry and plum joined traces of earthy elements and silky smooth, light tannins in the medium body. Licorice, baking spices and hints of white peppercorn comprised the comforting finish. Soft and refined, this is a graceful glass that empties rather swiftly. the satellite appellations around Saint Emilion can offer some great value bottles! absolutely! wish i had picked up a few more of these.